Beautifully ages Zinfandel, with great balance and depth. The tannins have turned soft and mellow and the fruit is still there by the bucketload. 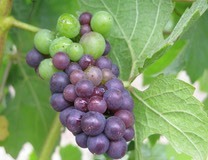 The peppery undertones still produce that long finish and the fruit is a complex mixture of black cherries and plums. This is great with a nice T-Bone steak and is probably best drunk up now.